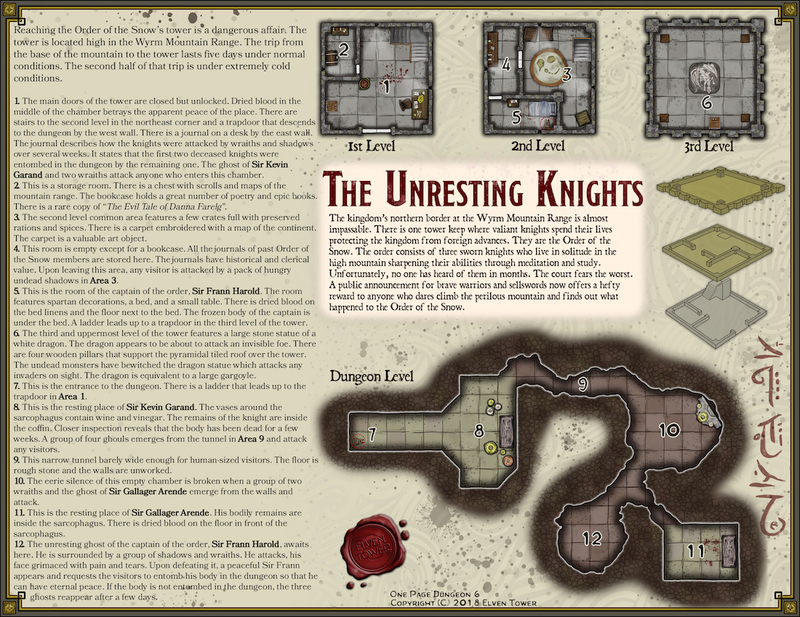 Here’s the sixth installment of the one-page-dungeon series. 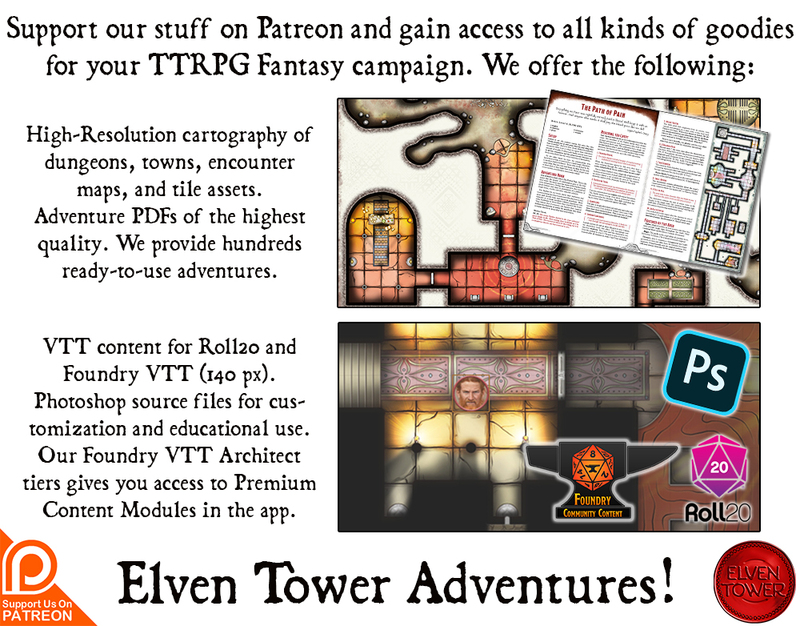 The objective is to create self-contained adventures/dungeons with all things necessary to spawn fun adventures in a single page. The adventures are system neutral so no rules or mechanics are included. This adventure is about a faraway tower where a very small order of brave knights protect the kingdom from foreign forces in the tall mountains range. They were recently attacked by undead forces and succumbed to their wounds. Since no one in the capital has heard from them for weeks, the court now offers a hefty reward to anyone who dares climb the mountain range and find out what happened to them.